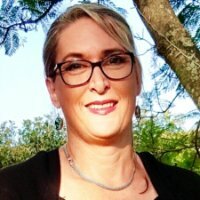 Fiona Hamann is a professional public relations and communication consultant with more than 25 years' experience managing corporate affairs and public relations for a variety of blue chip and smaller businesses and not for profit organisations. Starting in journalism at News Ltd in 1989, Fiona has also worked in PR agencies, internal communication consultancies and in-house in a variety of corporate communications roles across a wide spectrum of industries across the globe. Sick of long city commuting, she started Hamann Communication in 2014 and works across a number of industries with a variety of clients, whilst maintaining some semblance of work life balance. Fiona also lectures and tutors Public Relations at Raffles College of Design and Commerce. She is also a regular contributor to Flying Solo - a publication aimed at small business owners. Over the years, previous employers and some clients have included: Coca-Cola South Pacific, Seven Network Australia, Reader's Digest, AllRecipes.com.au, HealthSmart and Handyman Magazines, Aussie (Home Loans), John Holland, Hawkesbury City Council, Rubix Modular Homes, Blue Mountains Natural Spring Water, TZ Limited, Yellow Brick Road, Kraft Jacob Suchard, Discovery Foods and British Aerospace. She has also guest written blog posts for Realestate.com.au, Aussie, finder.com.au, Jobsite, API magazine and the Tech Scoop among others. Fiona works directly with clients, and also offers a confidential service to PR and communication agencies with work overflow or in need of specific expertise.